Coach Sinn brings many years of experience and success in the game of basketball. She was a proven player and has been an excellent coach and leader of many young women over the last 25 years. Having first-hand experience coaching at virtually every level of basketball Coach Sinn has an understanding of the wants and needs of players at each different level. Coaching drills and teaching skills are just one component of basketball. Having a personal understanding of the players you are coaching is another component that few basketball instructors have. All accolades aside Coach Sinn is a genuine caring leader who holds these camps because she knows the importance of having positive role models in our children’s lives. Basketball is a great venue in which our daughters can learn and grow in relationships – working with a team – setting and achieving personal goals – while creating a positive self-image. Improving one’s self is as important as improving one’s basketball abilities. Coach Sinn is not only a coach she is a teacher of the game and of life skills. She has instructed many players over the years and other coaches as well. 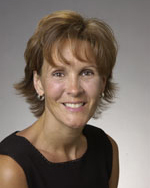 For the last few years, she has hosted the Minnesota State High School Coaches Association annual meeting at the University Of St. Thomas. This is a gathering of Minnesota coaches coming together to learn from each other and to teach each other the finer points of the game. Girls basketball has grown and changed over the years and Coach Sinn has been a prominent fixture directly involved with this growth and change. A hands-on coach with the experience to provide a unique learning environment within her basketball camps. These camps are about the players and their capabilities to learn and improve not only as players but as young women as well! 2018 – M.I.A.C. Champions, M.I.A.C. Playoff Champions, In the past 4 seasons St. Thomas has only lost 2 M.I.A.C. games. N.C.A.A. Sweet 16, St. Thomas finished the season ranked #7 in the country. 2017 – M.I.A.C. Champions, M.I.A.C. Playoff Champions – M.I.A.C. Coach of the year. Western Region Coach of the year. 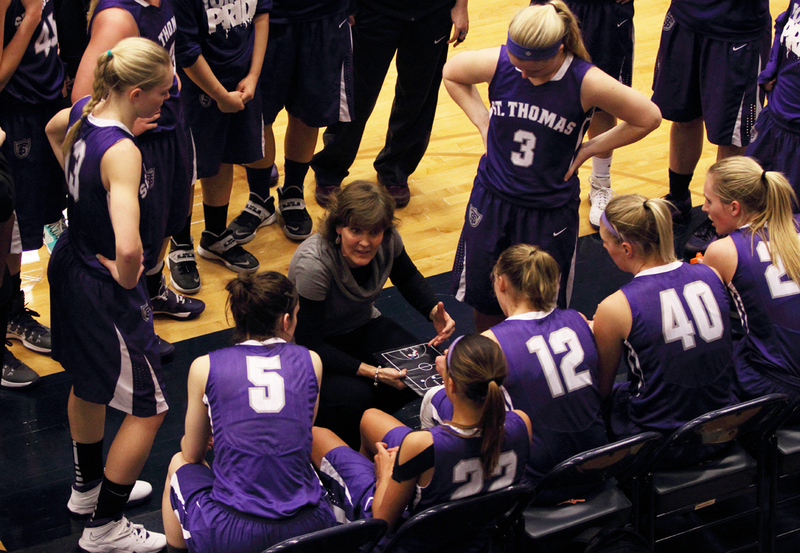 St. Thomas finished the season ranked 3rd in the country. 2016 – M.I.A.C. Champions, M.I.A.C. Playoff Champions – St. Thomas finished the season ranked 9th in the country. Coach Silk brings many years of experience as a coach and a player. He was a 4-year letter winner and team captain at North Dakota State University. He has coached both high school boys and girls teams in Minnesota before joining the staff at the University of St. Thomas. Silk is a student of the game with vast knowledge of skill and techniques to help mold the beginning of a very experienced player. His passion for the game and ability to teach the game makes him a player’s dream coach. He makes learning fun and doesn’t just tell the players how to do it, he shows them.